Does my dietary supplement contain any of the Prop 65 chemicals? Do I now need to put a warning label on my dietary supplement? Do I need to update my existing warning labels? Can you test my product to make sure it's Prop 65-compliant? These are all great questions, though the answer is not straightforward. Here is what you need to know if you are currently selling, or plan to sell, a dietary supplement in California after August 30. California has changed their Proposition 65 (Prop 65) requirements for consumer products, which applies to foods and dietary supplements. The intent is to make warnings about cancer- and reproductive toxicity-causing chemicals more useful for the public. The Prop 65 list consists of over 850 chemicals. Products already providing safe harbor warnings on labels will need to revise the warnings to comply with the new wording requirements. Products not already bearing the appropriate warnings may now need to include them on labels. 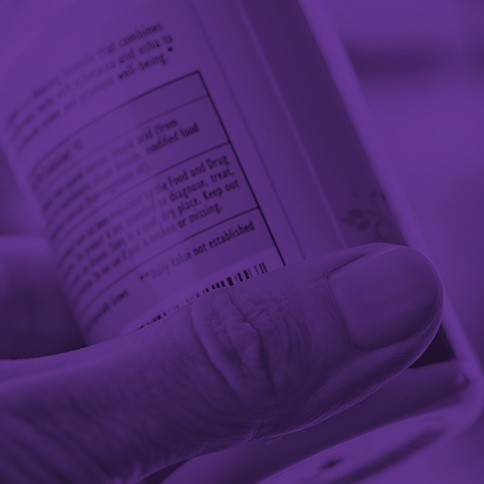 The take-home message is that businesses selling dietary supplements in California should have a strategy in place to comply with Prop 65 that incorporates both regulatory and analytical testing considerations. Below is the critical information you should know if you are currently selling, or plan to sell, a dietary supplement in California. WHAT DOES THIS MEAN FOR DIETARY SUPPLEMENTS BEING MARKETED IN CALIFORNIA? For dietary supplements, compliance is a challenge because product formulations can be complex, containing dozens of (or more) ingredients from different sources. Because the Prop 65 list is extremely long, it is not practical, feasible, or cost-effective to test a given product for all Prop 65 chemicals. HOW CAN COMPANIES ENSURE THEIR DIETARY SUPPLEMENTS ARE PROP 65-COMPLIANT? A better approach is to first ask: what ingredients does the product contain? A scientific literature search can help identify ingredients that may be likely to contain Prop 65 chemicals. Next, by viewing the information obtained from a scientific literature review through a regulatory lens, you can determine whether your warning labels will need to be updated. The final stage is key to avoiding scrutiny from regulatory authorities. Analytical testing should be used to confirm the product and its ingredients are free of the identified Prop 65 chemicals. This type of testing is similar to what supplement companies are testing for already for QA/QC reasons - just for additional compounds. Providing the resulting Certificates of Analysis (C of A) can be used as evidence that a product meets Prop 65 compliance requirements. ARE THERE ANALYTICAL TESTS AVAILABLE TO CONFIRM PRODUCTS MEET PROP 65 LEVELS? The marine oil industry faced a similar challenge several years ago with prior updates to Prop 65, specifically related to PCBs. Many companies failed to include warning labels on their products in California, which caused both regulatory and analytical headaches as well as an eventual settlement. Today, analytical tests for Prop 65 can include everything from screening for heavy metals or pesticide residues all the way to very specific individual compounds. Prop 65 can seem daunting for the supplement industry, but compliance is highly achievable with the right testing and regulatory strategy. Talk to us today about achieving Prop 65 compliance for dietary supplements being sold in California. 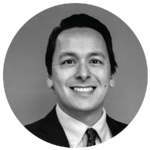 Kevin Yan, M.Sc., is Director of Analytics and Certifications at Nutrasource. With a background in nutritional science and in-depth knowledge spanning regulatory, clinical, strategic planning, and quality testing disciplines, Kevin has helped hundreds of clients support their products' safety, efficacy, and regulatory compliance. Connect with Kevin on LinkedIn. For more information, explore Nutrasource's regulatory and analytical testing services.